The Anaheim Ducks brought in a new version of a classic to throw it back to the Mighty Ducks jerseys from when the team came into the league. This is a more modernized version of the original uniform. Using silver as the triangle color for the 25th anniversary, or “Silver Anniversary” season was a great move and goes extremely well with the white duck mask, black circle, and orange sticks. This logo, along with the jersey, was a genius and beautiful idea. The Arizona Coyotes brought back the incredible Kachina jerseys from 1996 when the team first formed. This logo is one of, in my opinion, the best logos in NHL history. Having a hockey-playing coyote with symbols to show aspects of the state of Arizona within the logo. They represent the state with the use of colors, the moon on the chest, and the designs within the coyote. This perfectly captures the state of Arizona as a logo. The Jets chose the best font I have ever seen on the front of a jersey. 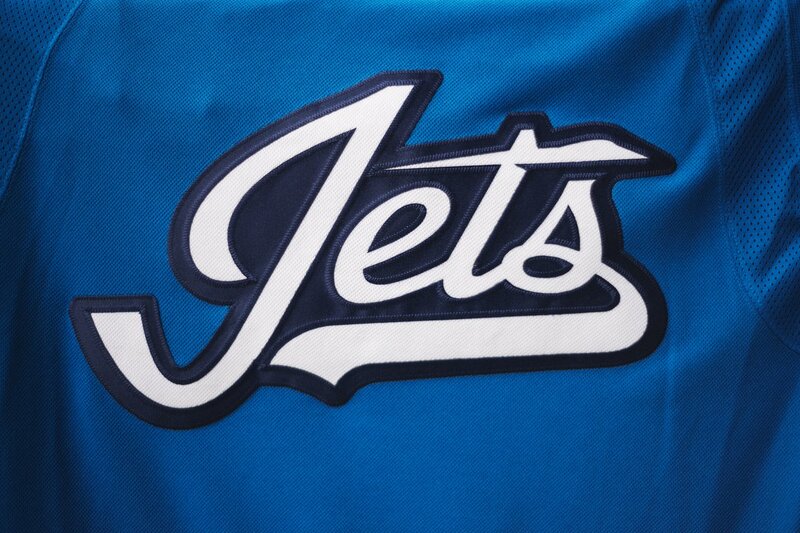 With the line through the top of the "T" in Jets being a jet, this logo was nothing short of fantastic. I had a lot of visions for what I thought the logo and jersey should look like, and they did even better than anything I could have imagined. While it got a lot of flak at first, it has grown on people to become one of the best logos in the sport. This has been one of the best logos since it was put on a jersey in 2010. The colors in this logo along with the cannon, star at the bottom and wordmark surrounding it, this logo is perfectly executed. The cannon is a marquee piece to this franchise as they shoot a cannon off every time they score a goal in Columbus. The off-white/cream color as the background, the light blue banner saying “Columbus Blue Jackets”, and the dark blue accents throughout work perfectly. 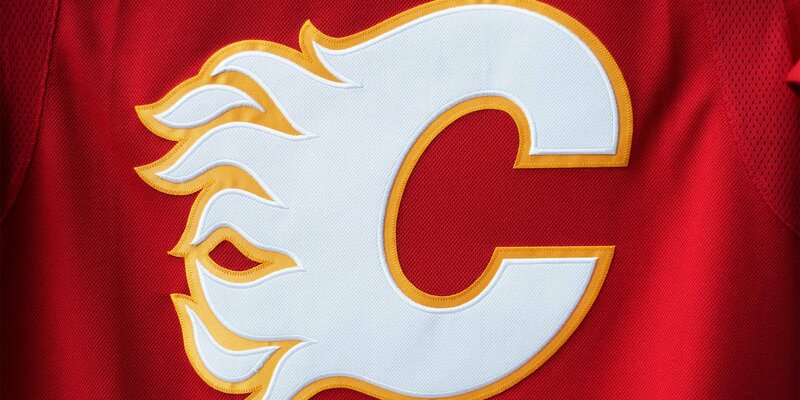 The Calgary Flames brought back the white flaming C in a great move. This logo is probably the best logo in Flames history. It's simple but extremely good looking. The reason this logo works so well is because of how it stands out. The white C with flames outlined by a yellow border makes it pop off the jersey and establishes itself as the focal point of the jersey it is placed on. 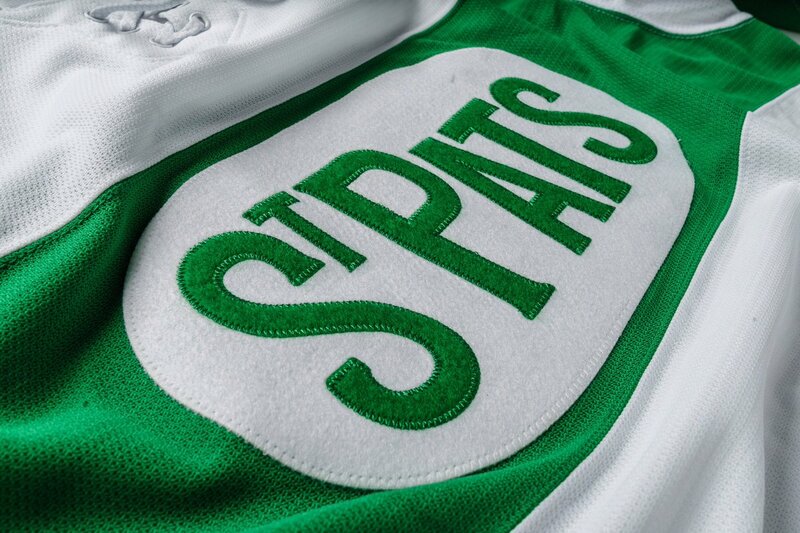 Bringing back the St. Pats jersey was a great idea, and the logo is a blessing. This logo is a fantastic, yet simple logo. The nice green script on the white oval background surrounded by green are a beautiful combination. This logo is also constructed of felt rather than the standard twill which makes it even better. The font is great and it all meshes together extremely well. This logo is almost perfect. The Hurricanes decided to go from one warning flag, representing a tropical storm, with Reebok to the double warning flag, representing a hurricane, with Adidas. This logo has everything, great colors, cool design, the outline of the state of North Carolina between the flags. The only issue is the fact that it is very thin and therefore leaves a lot of empty space on the right chest. Other than that, this is a great logo and really pops off of the jersey. This logo is almost great. It is a good logo but the one thing I would change is removing the mountain bordering the C. However, it is a logo I am still a fan of. The Avalanche maroon as the C against their dark blue background inside the mountain is a great color combination that really blends well together and looks good on the front of a jersey. The silver border on the white snowy mountain border is honestly a great look but I wish there was some space between the C and the mountain border itself so that the C did not look like it was trying to break out. This is one of the better alternate logos that barely strays away from the team's base logo. This works so well as it goes from a dark blue as the main color to the lighter blue. This switch in bluesallows for the yellow to pop and so does the off-white border. This logo fits extremely well with the jersey it's placed on and is unique in its color. The Sharks came out with maybe the best alternate of the year when they revealed it in the preseason by having the newly acquired Erik Karlsson skate onto the ice wearing the new jersey. The changing of any color that was bright, besides the white border and teeth as well as the orange eye, to black or dark teal was a great idea that helped play into the “stealth” jersey. 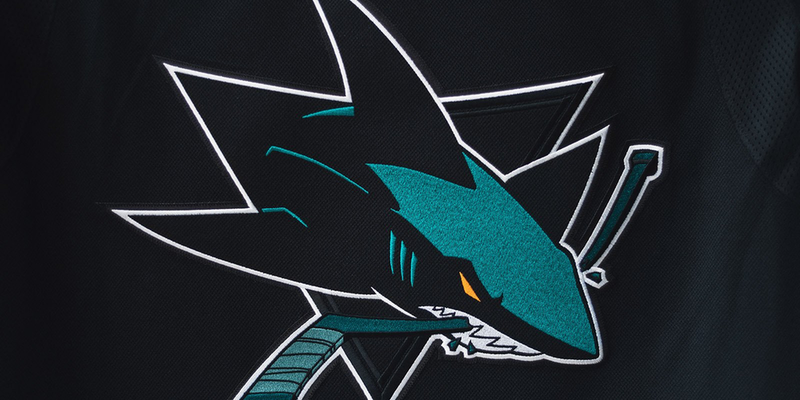 When everyone was expecting the current “secondary logo” which currently sits on the shoulder of the home and road jersey, the Sharks took a step further and made something epic. The Devils decided to go throwback style with the good old red and green. This logo is the one that most people tend to think of when asked what the Devils logo looks like and for good reason. The red and green Devils were the more winning version of the Devils and much more well known than today’s red and black. This logo is more well known because the color scheme was and still is, pretty unique to be putting on a professional team. The Penguins are another team that did very minimal changes, removing the triangle from around the penguin. I think something that would have made this jersey better is shrinking the penguin and putting a circle around it with the teams' name in the circle much like the did with the 2008 and 2011 Winter Classic jersey logos. 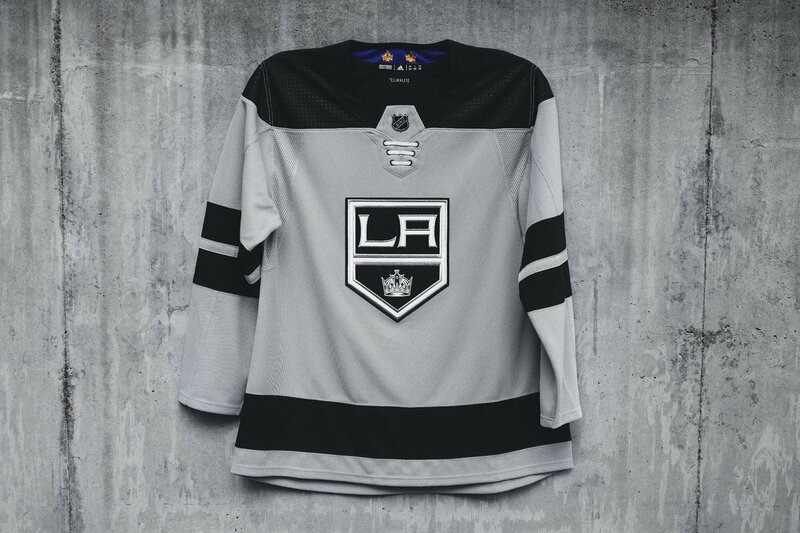 This logo is, however, directly taken from the Stadium Series jersey from 2017, which the jersey is as well. This overall fits in with the jersey color and style, but many were hoping for a more unique logo. The Islanders brought back the logo they used on the primarily black alternates when they first moved to Brooklyn in 2015. This logo is a part of their standard home logo being shown in the middle of the logo above Long Island. This logo is both unique and a little blander. 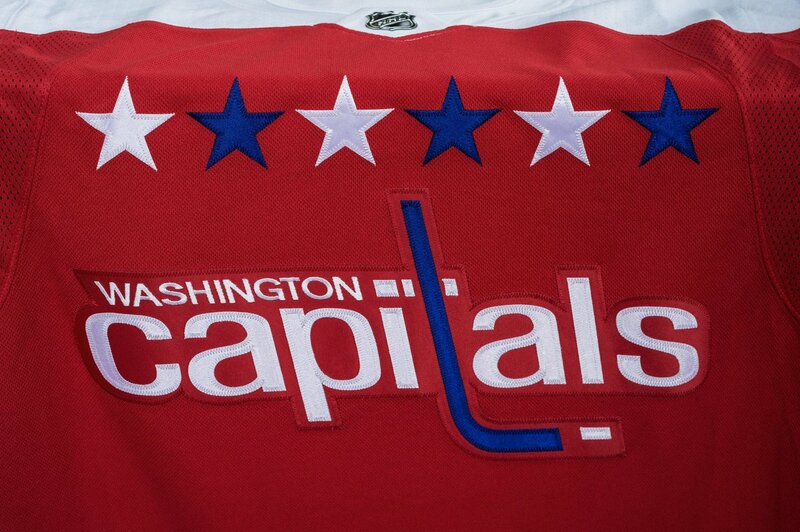 The logo is a white N and a white Y attached where the Y doubles as a hockey stick. The most notable part of this logo is the four orange stripes to represent the franchises four Stanley Cup wins. This logo, while very simple, works well with the jersey itself, which is a remake of the Stadium Series jersey from 2014 just more appealing for a wider variety of games. The Capitals did something great with bringing back the old school Capitals jerseys, but I ranked them in a bottom tier because of the fact that the only thing that really changed was the colors were switched around. I will say that the logo looks great on this jersey and it is absolutely one of the better alternate jerseys, but the logo is what we are talking about and it just does not stand out as much as the others ahead of this list. The Kings alternate logo is the same logo they use for their home and away jersey. The logo is very nice and looks great on the jersey and is put on a jersey as a nod to the 50th-anniversary jersey or the “golden anniversary” where it had a golden border. It fits well with the alternate jersey and part of me wishes it was the road jersey. 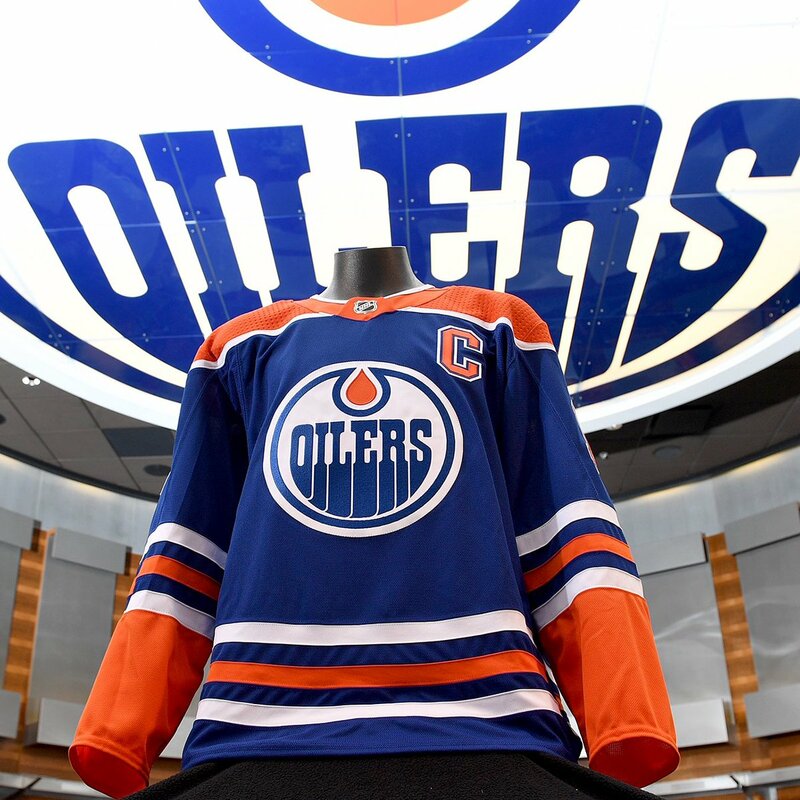 The Oilers alternate jersey logo is the exact same logo the Oilers have on their home and road jersey. I think it would have been a great idea if the logo was on a navy blue jersey with a burnt orange accent, which would be the reverse of the current home uniform. This logo works overall but an updated one for alternate jerseys would be ideal. 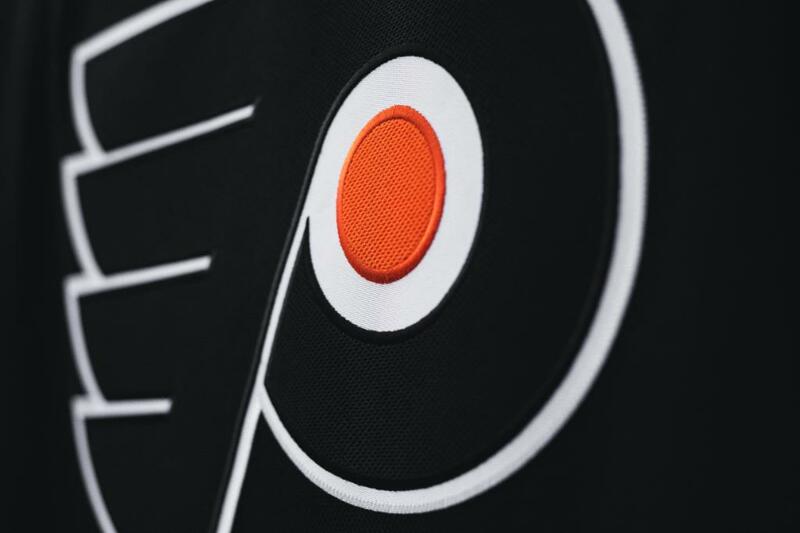 The Flyers are another team that uses the same logo on their alternate that is used on both the home and away. The standard logo with the black jersey actually looks pretty good, while I wish it would have been a little different, it still fits on the front of the jersey. They, like the Sharks, went with the “stealth” jersey style and the logo does a good job of completing the look. 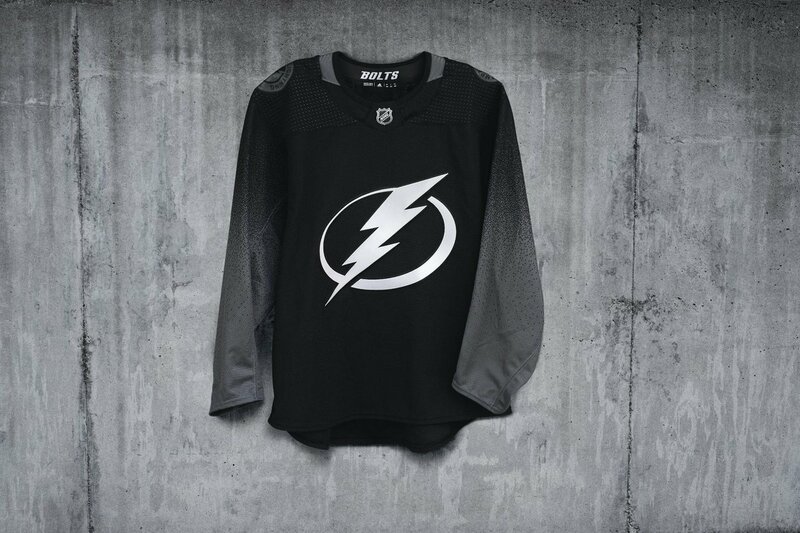 The Lightning used the same logo they use on the home jersey. It is still a nice logo for one of the more recently released alternate jerseys and has to be one of the more unique jerseys.